The prehistoric head of an adult traversed past us. Then a pair of eyes reflected in my flashlight. My travel companion whispered, "What is that? ", squinted her eyes and tried to peer into the dark Amazon rainforest. Suddenly, I spied a scaly torso with its marble-like eyes glowering back at me in the moonlight. It was a mammoth crocodile and it was heading straight for my companion! I hollered at her to make a run for it while I made a lunge towards the crocodile. With its protruding sharpened canines staring in my face, I blindly threw a fist with all my might. That punch proved enough to floor the beast and I hovered over its lifeless body triumphantly. Yes, one can dream right? But if you want to experience all the wonders of river wildlife in a less life-threatening manner, all you have to do is to head down to River Safari, Asia's first and only River-Themed Wildlife Park. The 12-ha River Safari is the newest neighbour to the Singapore Zoo and Night Safari and showcases animals from freshwater habitats inspired by eight of the world’s iconic rivers including the Mississippi, Nile, Mekong, Yangtze and Amazon rivers. The family and I were invited down for a Bloggers' Day Out at the River Safari 2 weekends ago and boy, were the monkies terribly excited! 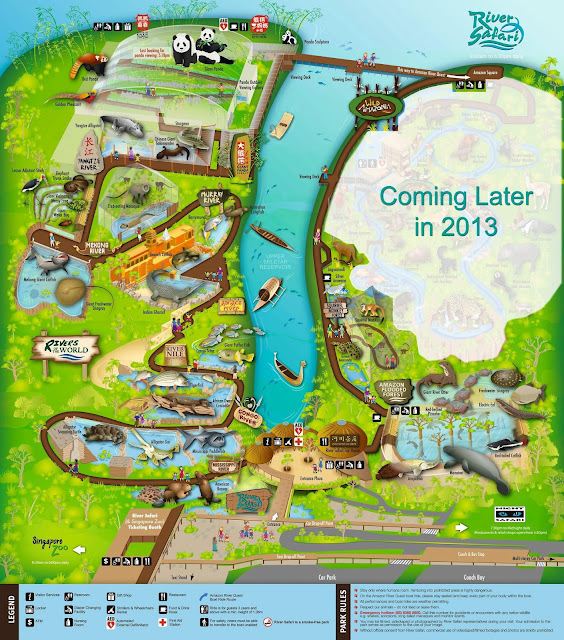 The River Safari consists of 3 main parts - River Adventures of the World, Giant Panda Forest and Wild Amazonia. The Amazon River Quest, which is part of the Wild Amazonia boat ride experience is not ready and will only open to public towards the end of this year. 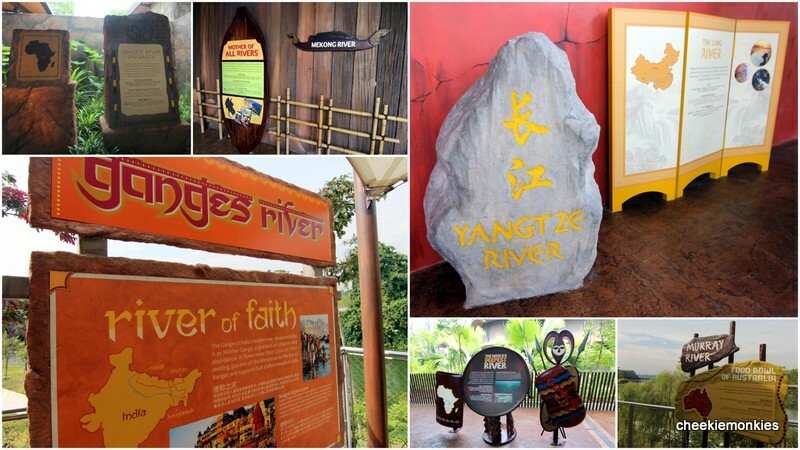 Unlike the Zoo and Night Safari, there are no trams to hop on or alight at the River Safari. Everything has to be seen on foot, which isn't a bad thing actually as we got to view most of the freshwater animals at our own leisurely pace. There were tons of animals to spot during our whirlwind journey through some of the world's most fascinating rivers, ranging from beavers, paddlefishes, Mekong catfish, alligators, barramundi to even a peculiar-looking softshell turtle. If you want to maximise your entrance fee, be sure to time your entrance at either 9.30am or 2.30pm where it is Feeding Time for the animals! As an added bonus, a River Safari guide will be present too to present a running commentary of the river habitats' and their dwellers' characteristics. Definitely a much more informative experience. The boys took along their digital cameras and even they didn't expect to have taken photos of so many freshwater animals at the River exhibits! And what's a wildlife park experience without an animal show? Happening at 11am and 4pm daily at Amazon Square (Wild Amazonia), the animal show offers the audience a chance to get really close to some of the River Safari's permanent residents. Compared to the animal shows at the Zoo or Bird Park, this show might feel a tad underwhelming as there are no outlandish animal tricks or performances. Rather, think of it as a cosy and personal show experience where kids and adults are encouraged to walk up to the trainers to know more about the animals on show. Of course, no visit to the River Safari is complete without paying the Giant Panda Forest a visit. And this was also what the monkies were looking forward to the most. Billed as the largest panda exhibit in Southeast Asia, the Giant Panda Forest houses arguably the most adorable envoys from China - Kai Kai and Jia Jia. That's Kai Kai in the above photo, who was feeling a bit drowsy after a hearty meal of bamboo. As for Jia Jia, she was feeling shy and preferred to stay hidden in her den. Besides panda-spotting, the exhibit area was laced with tons of interesting bits of information about pandas and the one which particularly piqued the interest of the monkies (and me) was the diet of Kia Kia and Jia Jia. Now I know why they are forever sleeping. Personally though, I preferred the Red Pandas who share the same biodome as the the Pandas. Also known as the firefox due to its bright rust-coloured furry coat and fox-like face, the red panda or lesser panda is said to be the original panda, having been discovered about 50 years before its giant counterpart. Such a cute face, no? But my fave bear of the lot as got to be the one below. An even cuter face, no? Heh. If the sight of the pandas' huge appetite has made you hungry - it has definitely made our tummies rumble - then you will be glad to know that you can pick up delectable Szechuan cuisine and panda-themed bites at the Mama Panda Kitchen, right by the Giant Panda Forest. 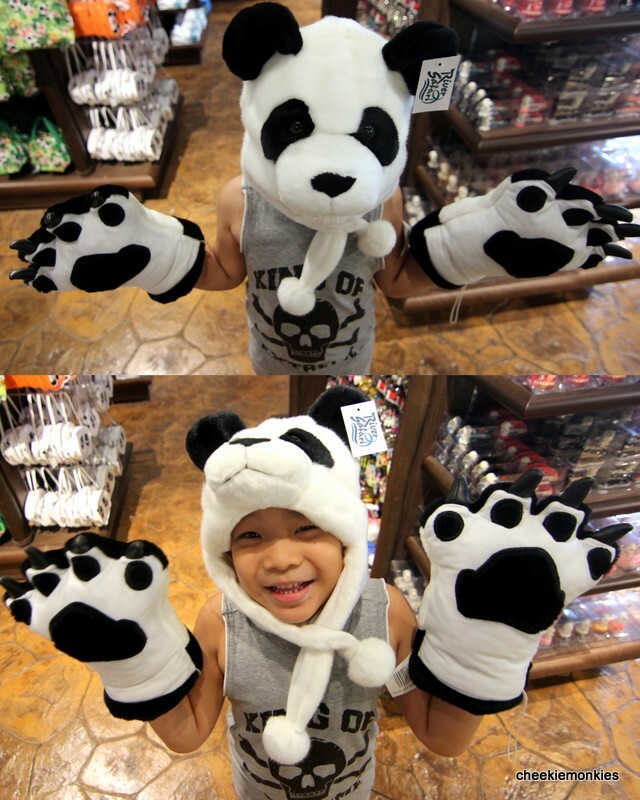 Be sure to try the Panda Pau when you are there, where only 200 of these cuties are made each day. The pau had tau sar, or red bean paste, filling and it looked so adorable that we the monkies didn't even bear to chomp at it in the beginning! Another dining option would be the River Safari Tea House at the Entrance Plaza which serves a full menu of savoury Chinese fare. After our lunch, we proceeded to Wild Amazonia where we got to explore the rich biodiversity of the Amazon Rainforest. 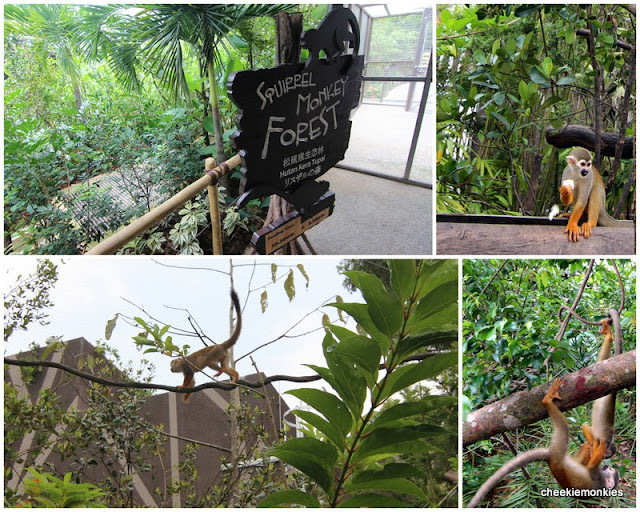 The Squirrel Monkey Forest is one such example as we got to stroll through an amazing tropical aviary with free-ranging squirrel monkeys jumping, scurrying and bouncing all around us. Feeding times are at 10.30am and 3.30pm daily so if you want to see the squirrel monkys at their most energetic and mischievous selves, I reckon those times are perfect for visiting. For me though, my personal fave exhibit of the River Safari is the Amazon Flooded Forest. The Amazon Flooded Forest is an immersive re-creation of the Amazonian rainforest, which gets submerged in up to 15 metres of water every year during the rainy season for a period of 6 months! So the water overflows, flooding the land and creating a whole new water wonderland for the aquatic animals in the Amazon to swim and live in. The star attraction of the Amazon Flooded Forest has got to be the world's largest freshwater aquarium exhibit where we got to see for ourselves the underbelly of the submerged Amazon rainforest. Viewing the arapaima, giant river otters and manatees swimming in front of us was truly a remarkable eye-opener for me. For Ash and Ayd though, they were fascinated with the piranhas exhibit. Eerily enough, for the entire moment that we stood in front of the tank, they were too motionless and gawking straight back at us. As if to say that they are hatching a devious plot to make us their next meal. 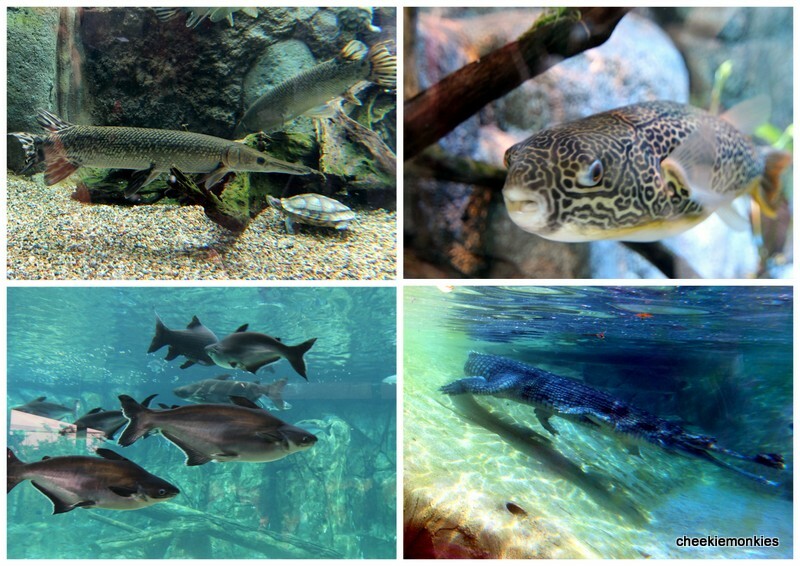 Before I visited the River Safari, I never thought there would such a diverse spectrum of species found in the freshwater rivers around the world. So yes, we thoroughly enjoyed our time at the River Safari. Do expect to spend slightly more than half a day there to soak in the feeding sessions, animal show and other attractions. And since the Amazon River Quest boat ride and animal exhibits along this ride will not be available until later this year, the River Safari admission tickets are sold at a discounted price until then (details are at the end of this post). A huge thanks to River Safari for hosting us. I am just glad that no real crocodiles were harmed during our visit. My friend celebrate here birthday day there. we had a wonderfull day there really.